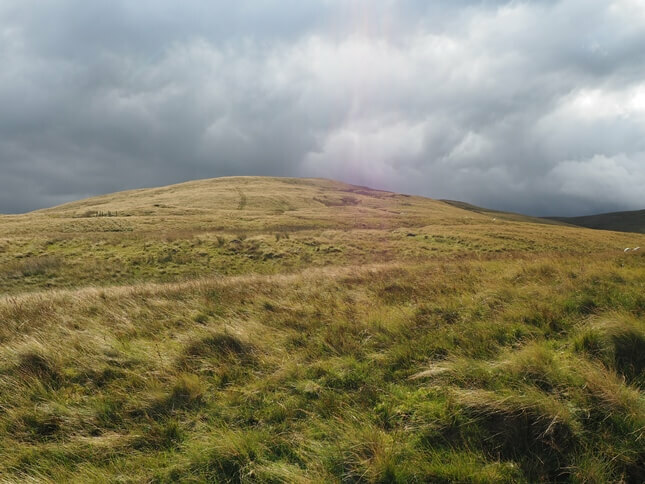 Harter Fell is the easternmost summit in the Howgill Fells and is separated from the main group of fells by the access road running to Adamthwaite. Very much the north-east corner of the Howgill Fells, Harter Fell stands apart from the main mass of hills that form the range. Its nearest neighbours are Green Bell, 1½ miles to the west and Wandale Hill 1¼ miles to the south-west. Harter Fell is connected to the main range by a high saddle over which runs the road leading to the isolated farm at Adamthwaite. The road reaches its highest point at 413m. A cross is marked on the map at this point though if there is one I’ve not been able to find it. 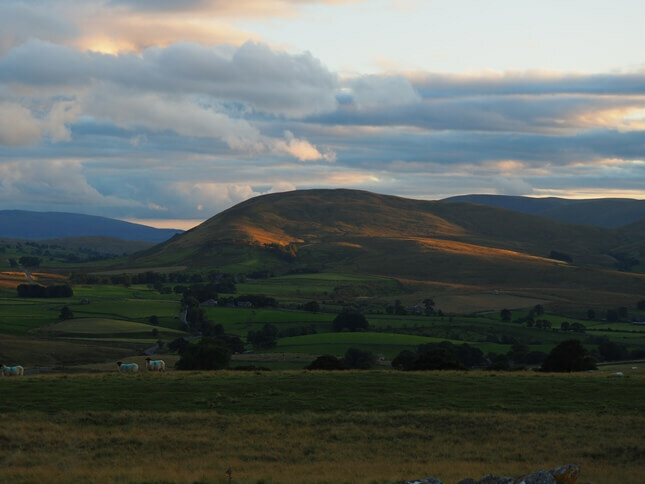 The fell’s finest aspect is from the valley below to the east. Here Harter Fell rises like a wall from the upper reaches of the Rawthey valley. 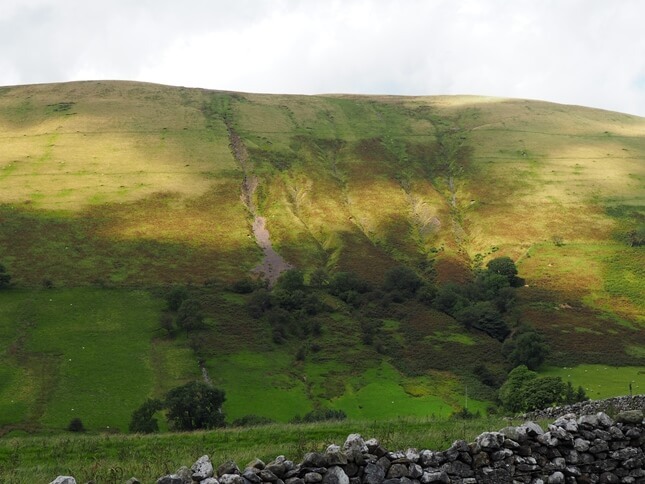 One feature of note on this side of the hill are the five deep gills dropping steeply down the fellside. Perhaps unsurprisingly these are marked as Five Gills on the map. These eastern slopes are not really practical as a route on to the fell. There are however a couple of fairly easy ways up to the summit. From the south the approach is via Murthwaite Rigg. A bridleway contours round the south-western flanks of the fell. This can be left to join a fainter track which turns into a quad track. This can be followed all the way to the summit in a number of loops. From the north the easiest approach is to simply follow the road up to its summit. Road walking is never that appealing but in this case it is really quite enjoyable with the fell in view almost the entire way. Once at the top of the road simply turn left on a well graded quad track. For those who want to omit the road walk altogether there is room to park a car or two at the top of the road. 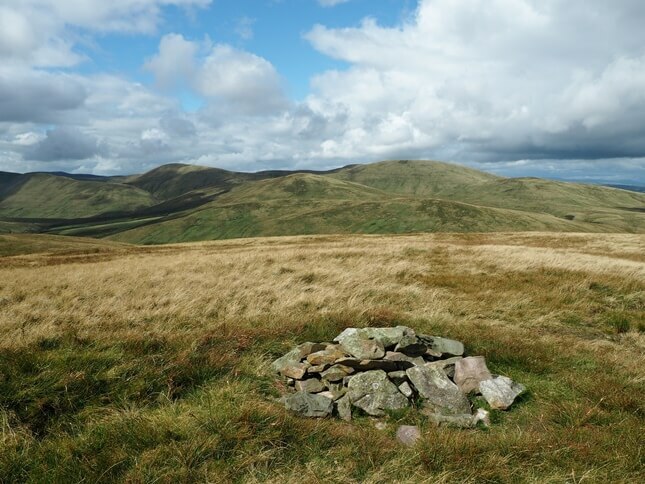 The summit is marked by a modest cairn. 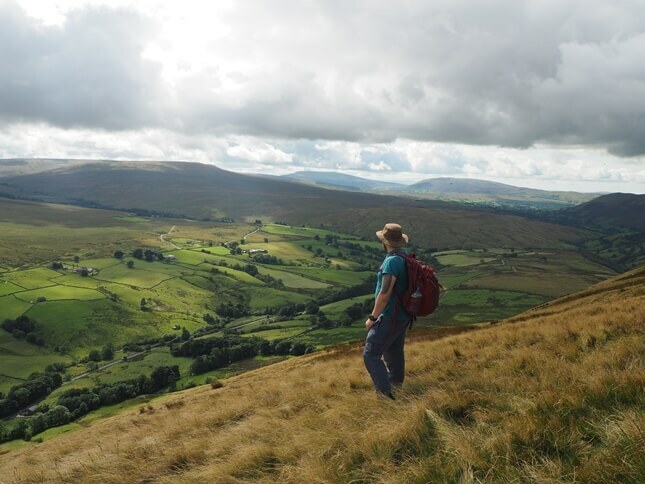 As with nearly all the Howgill summits the view is superb. 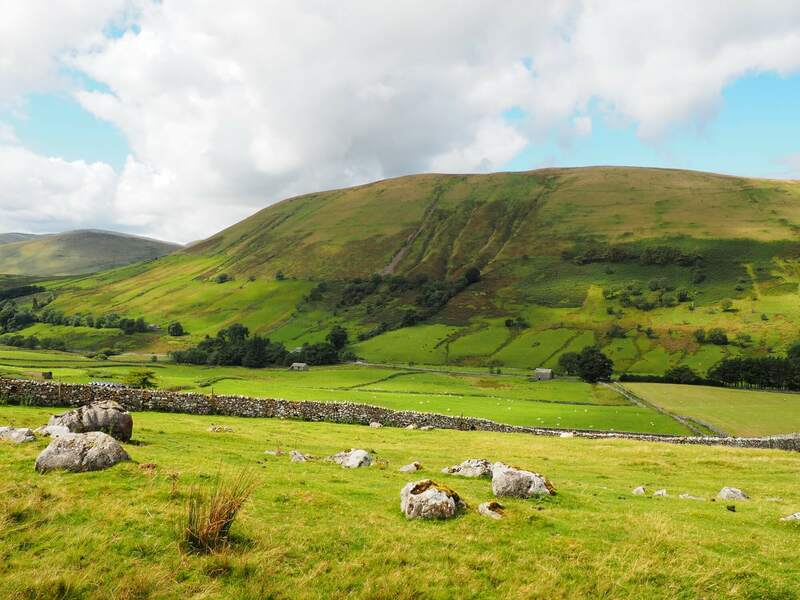 In addition to the main mass of Howgills the panorama also includes Wild Boar Fell on the other side of the valley. 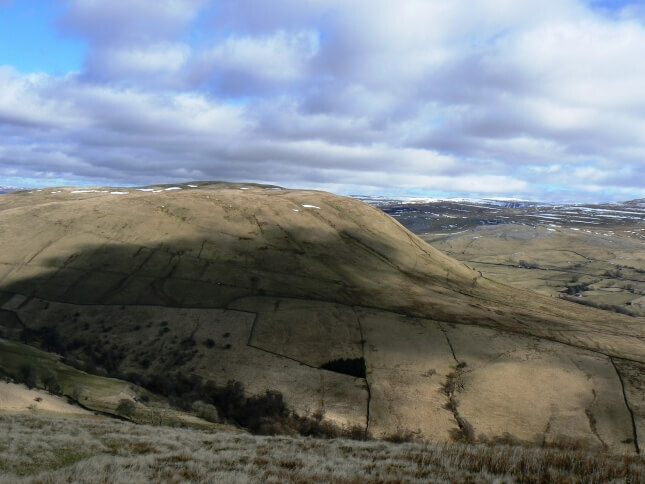 To the north, across the Orton Fells is a long line of North Pennine heights. Finally, to the north-west, a clear day reveals Carrock Fell in the far north of the Lakeland mountains.